Along with hundreds of bands last weekend, the now arena dominating Biffy Clyro released a limited edition 7" for Record Store Day. On it you got a live rendition of their single "Black Chandelier" and a completely new, previously unheard track called "City of Dreadful Night". It's taken a little longer for it to appear online than I'd of thought but hey, we've got the goods for you guys now and you can listen to it below. Biffy just wrapped up performances at Coachella and have some festival and arena dates with Muse scheduled for June onwards, dates of which can be found over here. Their number one double LP Opposites is out now. [Listen] MGMT's Record Store Day Single "Alien Days"
This past Saturday Record Store Day took place, and on that day MGMT released a limited run of cassettes featuring the song "Alien Days." For those who weren't able to buy one of those cassettes, the band are streaming their new single on SoundCloud. Check it out below. The Strokes will be giving their Comedown Machine lead single "All The Time" a 7" physical release for this year's Record Store Day, which takes place on April 20th. Serving as a b-side to the release will be an upbeat number titled "Fast Animals". The b-side is actually a faster-paced, alternate recording of the track "Slow Animals", one of the eleven songs included on the band's fifth LP. Check it out below. 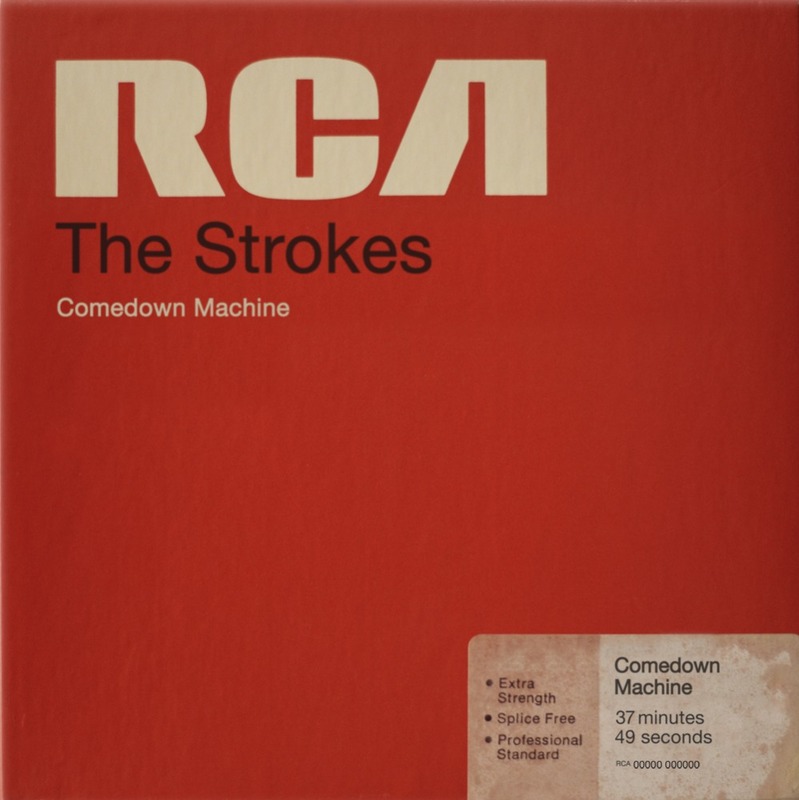 Comedown Machine is out tomorrow through RCA Records. Record Store Day 2013 is nearly upon us, with less than a month until the vinyl-loving celebration commences. This year's crop already looks fantastic, with rarities, reissues and unreleased material from the likes of The White Stripes, The Flaming Lips, The Black Keys, MGMT, Tame Impala, At the Drive-In, Deftones, Ryan Adams, Dan Deacon, The Hold Steady, Built to Spill, Stephen Malkmus, and more. There's even a little treat for fans of South Park, with a 7" vinyl of "San Diego" / "Gay Fish" making the list. As for the rest of the releases, take a look at a few notable names below or head to the Record Store Day website for the full list. Record Store Day 2013 takes place on April 20th.